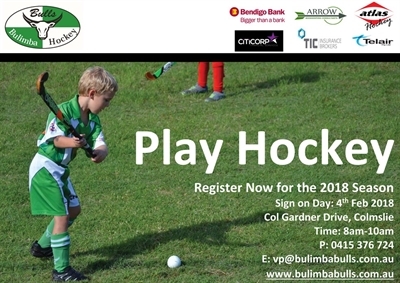 In addition to playing for Premiership points in the first series, the Bulimba v Valley BHL1 teams compete each year for the Sasha Hawgood Memorial Shield. 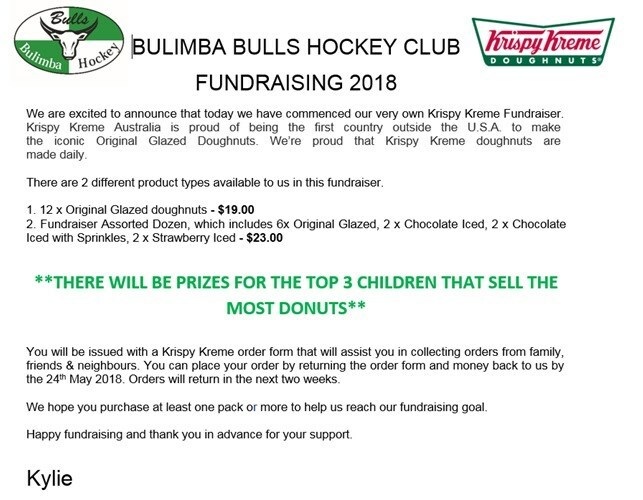 Last year was the inaugural year and Bulimba were the winners then. Sasha is missed by many but remembered fondly each year on this occasion by the both Clubs who she and her family are heavily involved with. Junior grass has been cancelled tonight, due to the weather and fields being wet. PLEASE DON'T FORGET TO COLLECT YOUR DONUTS FROM THE CLUBHOUSE FROM 5.00-6.30PM. 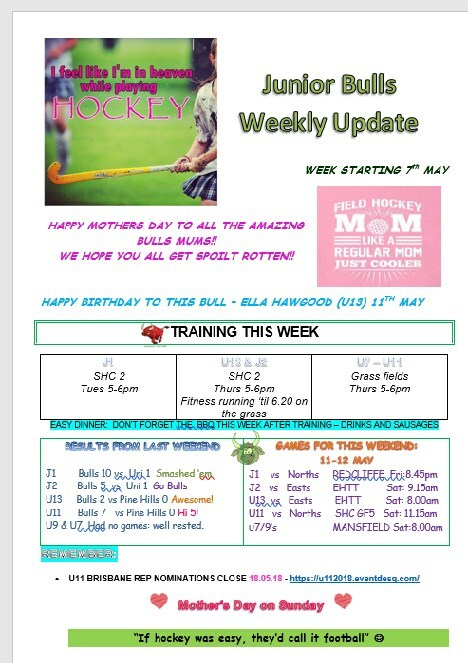 ALL seniors are invited to fitness training this Thursday 31 May and again on Thursday 7 June on our home grass fields from 6.15pm. This replaces the 9-10pm turf session. 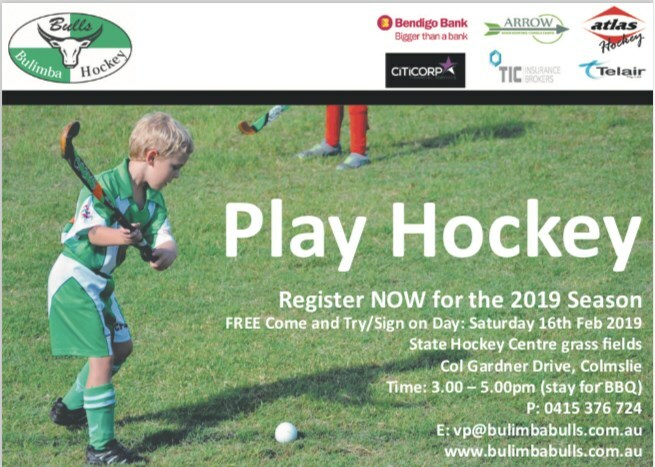 In addition to playing for Premiership points, the Bulimba and Valley BHL1 Teams will be competing for the inaugural Sasha Hawgood Memorial Shield. Sasha Hawgood and her family have been heavily involved with both Clubs. She is missed by many, and very much so by her family. 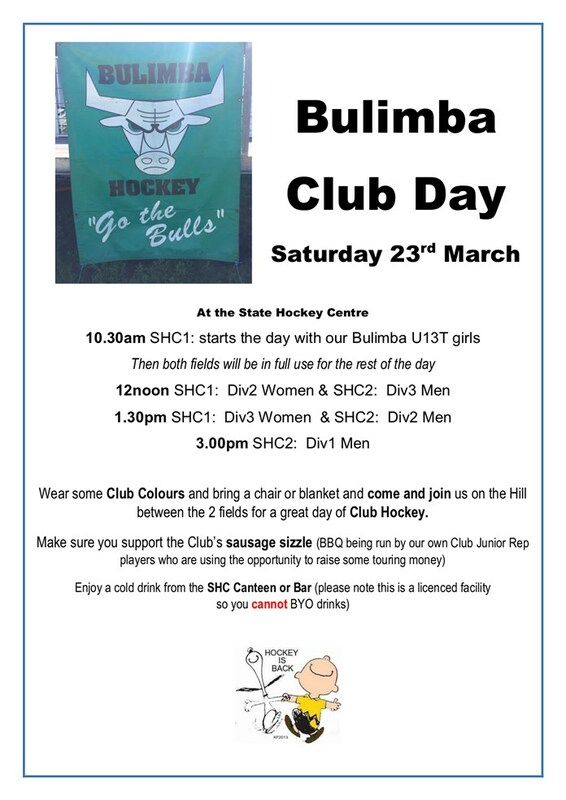 The Shield is an initiative of the Bulimba HC. It is hoped that the Shield will be played for each year when the two Clubs meet in the first series of BHL1. A short ceremony is scheduled for SHC1 at around 4:15pm, immediately following Saturday's match. All are welcome. The Brisbane Under 18 Trials that were due to take place this coming Sunday (13 May) have been rescheduled. 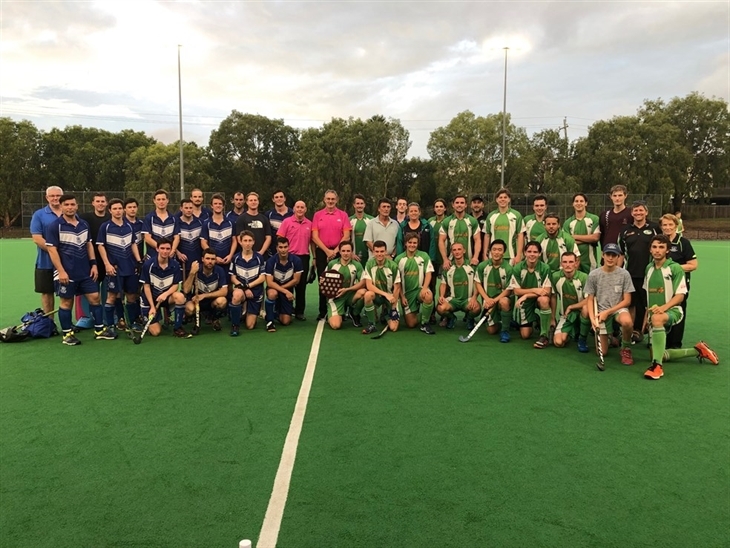 As you may have heard, Robert Hawgood (J2's) is going on a U16 Hockey Development Tour to the UK in December this year organised by Pine Rivers/St Andrew’s Hockey Club. The boys will be involved in coaching and matches in Edinburgh, London, Cardiff and Bath. So - as you would expect, the fundraising begins…. We have 20 tickets to sell (could get more if needed probably). Thanks from the Hawgoods. 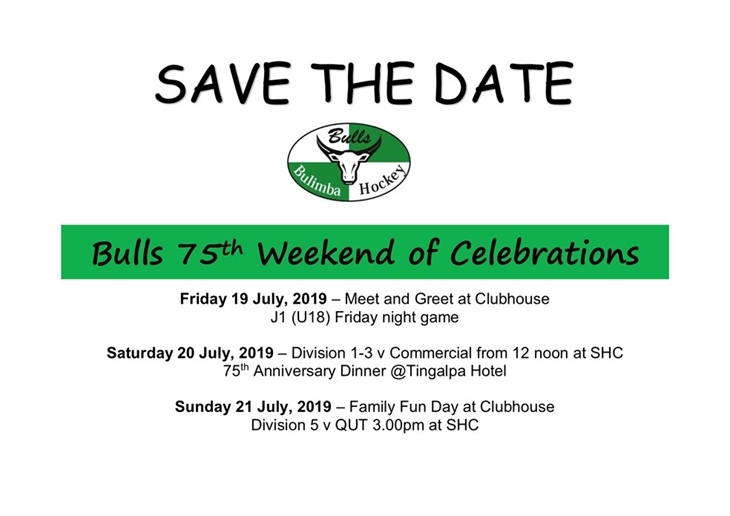 Let me know if you would like to come…. We’ve been selected to participate in Local Matters at Grill’d Bulimba this March! We’d love your support in receiving the highest $300 donation! Simply head to Grill’d Bulimba during March for a burger and pop your Local Matters token in our jar. The group with the most tokens at the end of the month receives the largest donation. You’ll find us on a jar at Grill’d Bulimba, 124 Oxford St (Near Woolworths) Bulimba. Bring your friends along on Sunday. Skills sessions with Div 1. 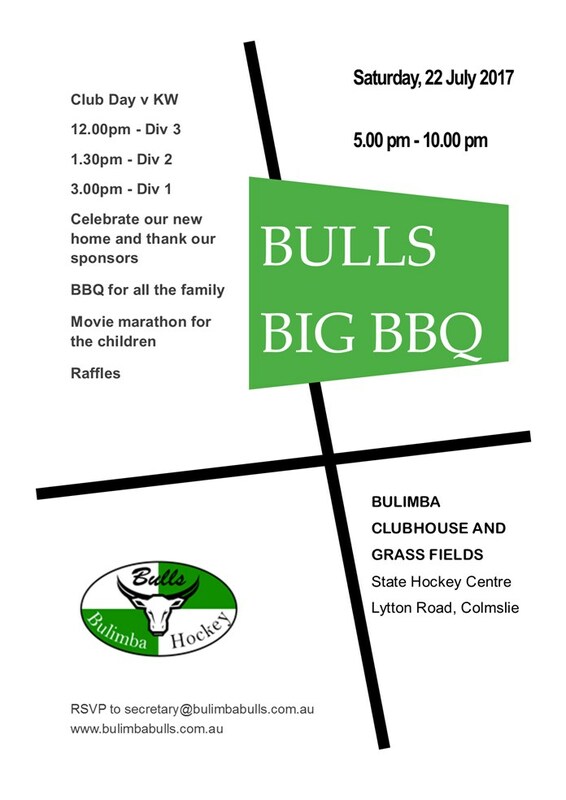 Club fitness is starting this Thursday 11 January at 6.00pm at the home of the Bulls - the grass fields at the State Hockey Centre. 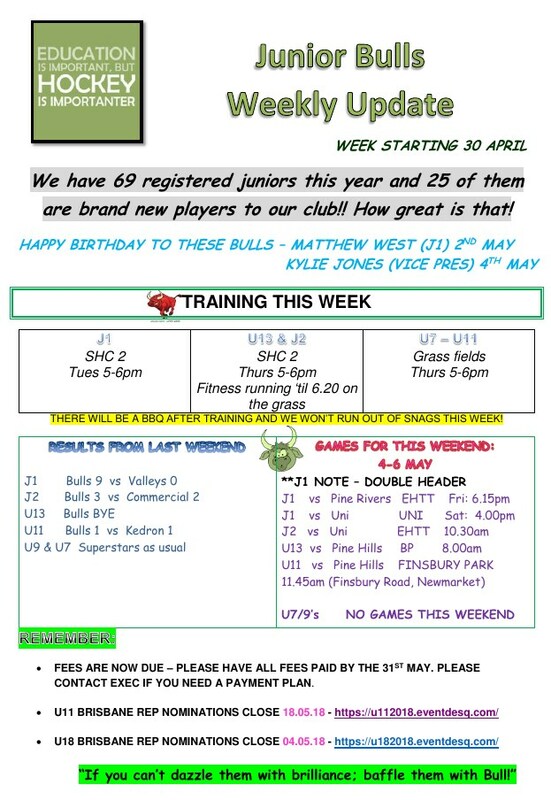 All Js, BHL1 - 6 and Masters are welcome. New members also welcome. Nominations are now open for the BHA Under 18 teams. A link to the nomination form can be found under Rep Programs on the BHA website. To nominate, players are required to be registered with HQ in SportsTG and as a player with a BHA affiliated Club. Nominations are now open for the BHA Under 13 teams. A link to the nomination form can be found under Rep Programs on the BHA website. To nominate, players must also be registered in SportsTG as a player with a BHA Club. Telair was established by the founder and current Managing Director, Edward Wenman, in 2006. Edward saw opportunities emerging for businesses due to a fast evolving communications industry and the company has grown to be a key provider of communications products nationally. Telair delivers services across the Cloud spectrum, providing cost effective solutions and high speed responses to customer requirements and their emerging needs as the businesses grow. The Telair team works hard to have a thorough understanding of clients' businesses, and takes pride in the superior level of support we provide. Our team of professional bookkeepers are dedicated to providing high quality bookkeeping services in our office or the convenience of your office or home. No job is to big or small with over 20 years experience one of our friendly bookkeepers will be able to keep your business on target! TIC Insurance Brokers will obtain the best price with the correct advice for your business insurance.We are located in the Capalaba , Brisbane and can arrange insurance Australia wide. most occupations at competitive prices.